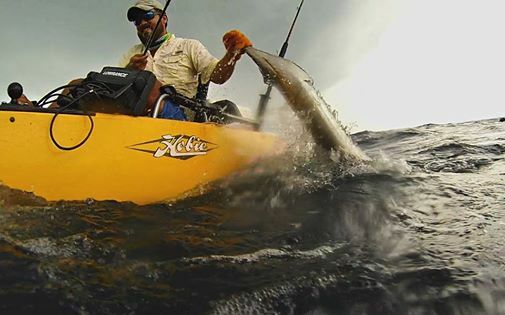 The panhandle of Florida offers some of the best offshore kayak angling around including red snapper, king mackerel, and sailfish. This fall the Sailfish bite had been on fire from Panama City to Navarre. We caught up with Matt Ritter, Kris Martinez, Josh and Brittany Zitzal, Jason Downs and the 7 sailfish caught between them, their panhandle sails. Last time we featured Matt Ritter and Kris Martinez, they dominated the GCKFA Offshore Tournament. This time we check in with Matt and Kris on their latest offshore fishing trips. Both Matt & Kris landed and successfully released their first panhandle sails. Kris Martinez and Keith Morrison hit the beach early to hunt down some triggerfish and Mangrove Snapper. Before heading out to their lucky bottom spot they attempted to Sabiki up some live bait but had no luck. Disappointed and bait less they decided to head on to their bottom spot. Kris threw out a Yozuri deep diver to troll while in route. Half way to the bottom spot Kris heard his reel scream and heard a fish jump. From a distance he thought he had a Mahi, but once he got closer he realized it was a sail! Kris calmed himself down and fought the fish. Eventually the sail was yak side and he was able to secure it and bring it in for some pictures. After a few quick pictures the sail was back in the water and within 5 minutes he was on his way. 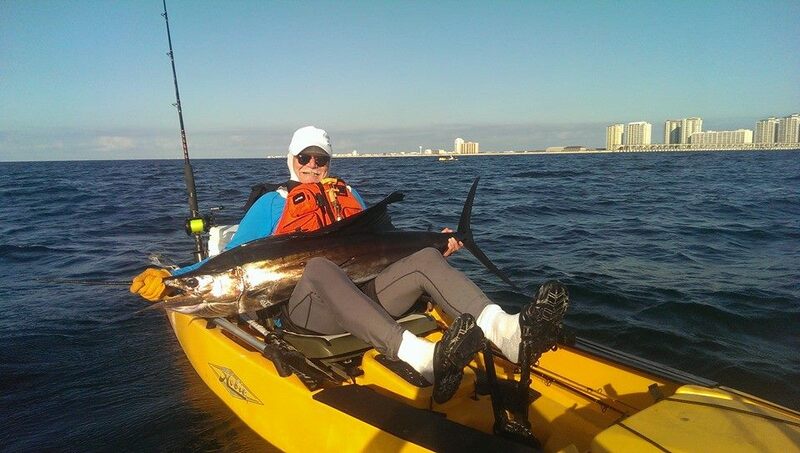 It wasn’t a huge sail but it was Kris’s first panhandle sail and few kayak anglers can actually say they caught one! Next we move on to Josh and Brittany Zitzal from Navarre FL. 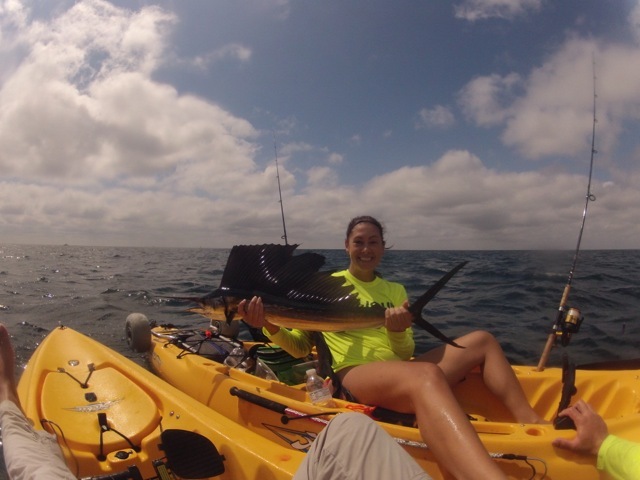 Josh and Brittany are a married couple who fish offshore together and recently both landed their first panhandle sails. 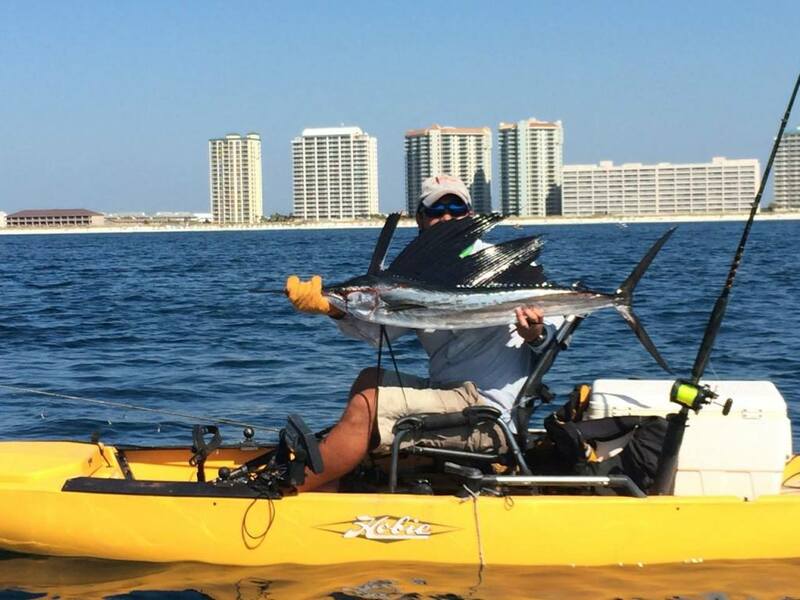 Josh hit the Navarre beach at about 8:45AM for some midmorning trolling. The surf was 1 to 2 feet and there was a strong northern wind. Once he passed the breakers, he realized there was a strong current moving from east to west. When just sitting in the water, Josh was moving 1 mile per hour per his FF/GPS. Once he hit 40 ft he started trolling 2 frozen cigs on king rigs with a Penn Fierce 8000 combos spoiled with 20lb monofilament. He immediately started getting runs, but was unable to get a solid hook up. Running low on bait, Josh switched over to an artificial shallow diver with a 27 lb. Berkley 7 strand leader. 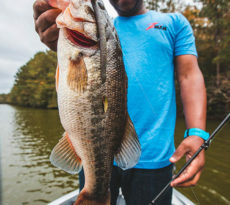 The current had turned him in a way that he couldn’t toss it out yet without getting tangled with his other king rig line. His lure was floating next to his yak while he readjusted to restart his troll when he felt a tug. He immediately thought it was a remora until he looked down and saw a small sailfish attacking the lure. Josh set the hook and the panhandle sail took off on a good 100 yard run. After a few minutes and a few jumps the sailfish was smoked and Josh had him yak side. Luckily, he kept the line tight on him, because when he pulled him out of the water, the lure fell out of his mouth. On September 19th Josh and Brittany drove out to Panama City to compete in Half Hitch’s Battle for the Kayaks tournament. They camped at St. Andrews Bay state park. It was their first time fishing the area so they planned on trolling around the pass that was right next to the park. 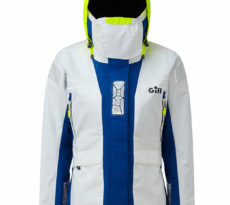 On the morning of the 20th they launched right next to the St Andrews Bay observation pier. There was a strong north wind and the overcast skies mixed with the wind made it chilly that morning. Live bait was tough to find so they tossed frozen cigar minnows on. The bite was on fire for the next hour and a half with kingfish after kingfish. They eventually found bait balls that had cigar minnows and hard tails. The bite slowed down after 1030am but they kept on trolling. Josh and Brittany were about 3/4 of a mile out when the wind shifted and the gulf turned into a washing machine, so again they moved closer to shore. The wind changed direction again, and the water flattened out but the wind was still blowing hard. At this point they were between a 1/4 mile and 1/2 mile from the beach about 300 yards off the buoys in about 44 ft of water. Brittany was trolling a cigar minnow on a purple and black duster king rig with a Penn Spinfisher V 7500 spoiled with 20lb monofilament. She hooked on a fish that she didn’t recognize so she waved Josh down. He immediately realized she was hooked up on a sailfish! She got five good jumps out of it before landing her first panhandle sail! 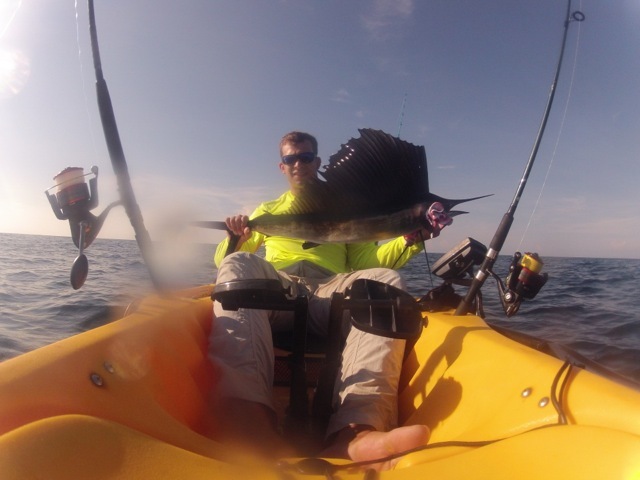 We close out with Jason Downs and his 3 sails, two of which he caught and one that his client caught. Jason has probably spent more time on a kayak off Navarre Beach than anyone else. 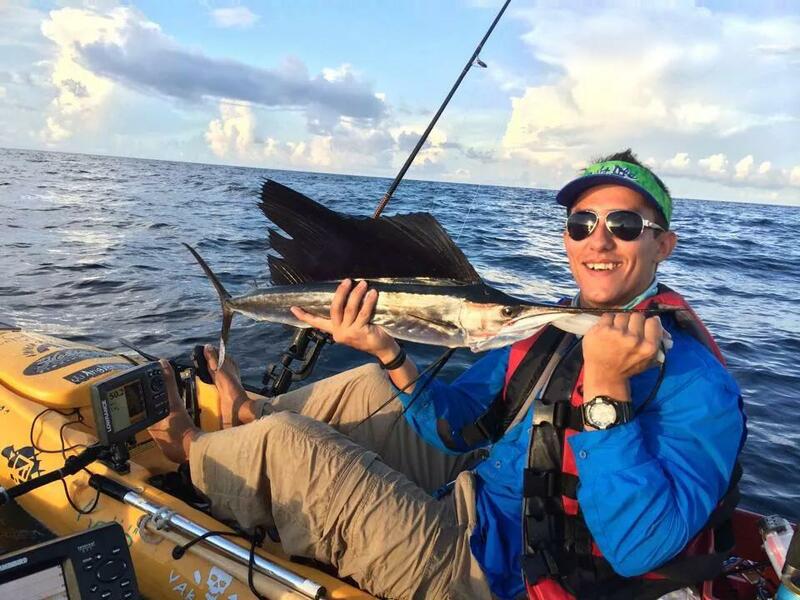 Jason owns and runs Emerald Coast Kayak Charters and has put his clients on Snapper, Grouper, Cobia, Sailfish, Mahi, Spanish and King Mackerel along with many other species. When specifically targeting sails, Jason prefers to pull a naked live bait on a 6/0 Mutu light wire circle hook with 8 inches of 42lb single strand wire attached with an Albright knot to about 10ft of 40lb fluorocarbon leader main line of 20lb mono. 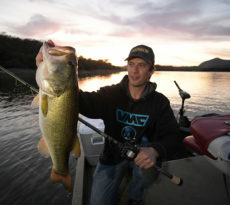 He uses conventional reels with a high-speed retrieve and a capacity of about 500 yards of 20lb mono on 7′ live baits rods. Jason and a few friends met up just before daylight to do some offshore trolling targeting sailfish but due to a storm their launch was delayed until about 8am. They successfully found bait and began their troll. Jason had to constantly replace baits due to mackerel bites and only using a circle hooks, but that’s a byproduct of species specific fishing. He debated on switching to a king rig after reeling up just the heads of hard tails but decided not to. This decision paid off. Jason’s hardtail gets smashed but the fish missed the hook. He reeled up his line expecting to see just another head but this time his bait is fine. Jason picked up his radio to call over that he had just missed a sail and all the while his bait is yak side dangling in the water. Just as he’s about to reel his bait up, Jason spots the sail! It had followed his bait back to the yak. He watched it gulp down his hardtail and free lined his reel for a few seconds to ensure for a good hook up. He came tight on his line and had a perfect hook up. It immediately began to jump and dance across the water. He tightened up his drag and fought the fish for 20 mins while enjoying the show. Once he had the fish yak side, Jason pulled the 60lb sail up on his lap for a few quick photos before reviving and releasing it. Just three days later Jason does it again! This time the surf was glass and he was able to catch a bait including a baby Bonito. Just like last time, he trolled live baits on circle hooks. Not long after starting his troll, he found a school of tuna busting on ballyhoo. Jason paddled over hoping to catch something for dinner but spotted a 20lb sail in the middle of the school. He trolled his live bait by and immediately gets hooked up on it. After a 10 minute fight he’s able to get the fish in the kayak for a few quick pics and then revives it for another healthy release. Not only did Jason catch 2 sail fish in 3 days but he also got one of his clients their first sail. He stuck to had worked for him and set his client up the same way he had been fishing. Literally 15 mins after starting their troll his client is hooked up and this sail went berserk. Jason coached his client and 10 mins later they landed the sail. Again, Jason gets a quick picture and releases another healthy sailfish. 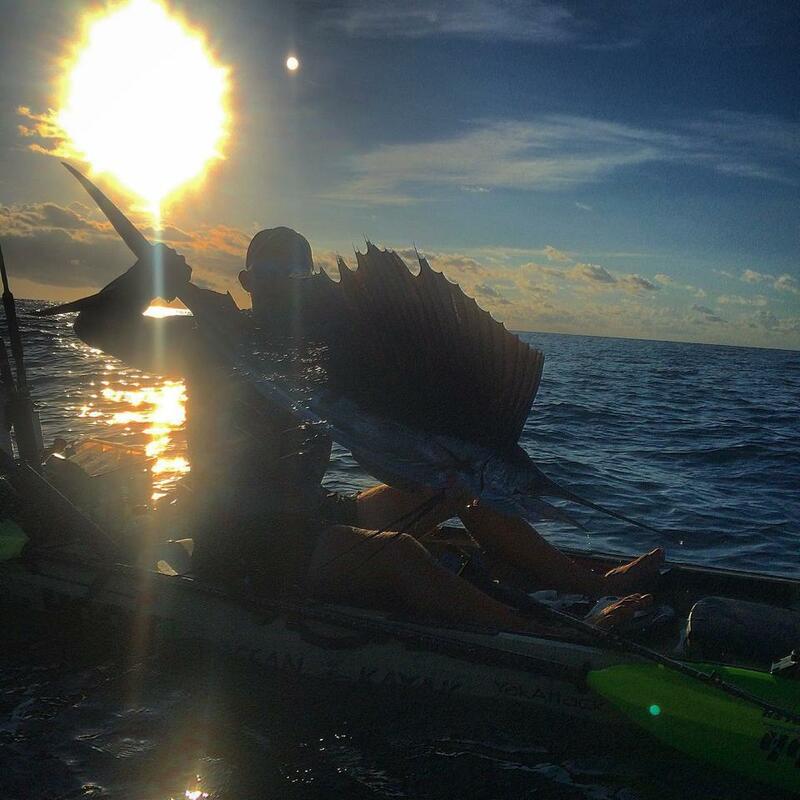 This fall the Florida Panhandle has been on fire for sailfish with many other stories just like this. 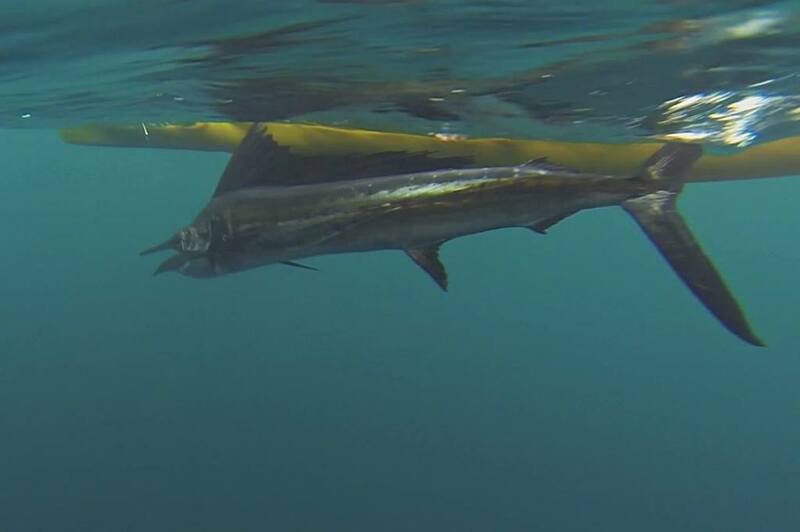 All the sailfish caught in this article were photoed, revived and released. 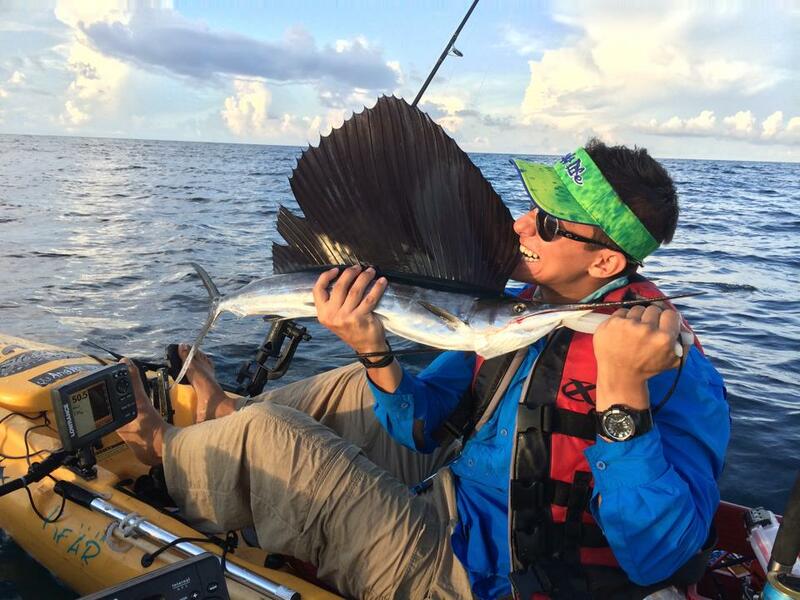 Ever caught a sailfish? Share your story in the comments below!